2016 started with a thud on Monday when news from China sent global stocks into freefall. The Shanghai index plunged 242 points before a system-wide circuit breaker kicked in and trading was halted. All three major US indices followed Asia’s downward slide with the Dow Jones leading the pack with a triple-digit loss on the day. The news that Chinese manufacturing continued to contract after ten straight months of erosion put the kibosh on any New Years rally as jittery traders dumped stocks at a pace not seen since 2011. 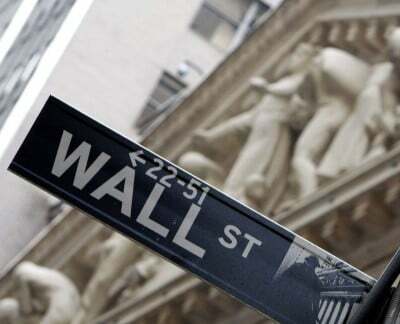 The combination of dreary economic data, shrinking profits, dwindling capital investment, sub-par growth, and higher interest rates has put Wall Street in a foul mood foreshadowing a volatile and bumpy year ahead with little cause for celebration. So if the Fed’s low rates didn’t touch off a credit expansion among US households and businesses, then what was gained? Not much really. The high-paying jobs in the oil patch have already dried up leaving the owners with sizable debts on drilling operations that are no longer profitable. As oil prices continue to slump, the price of cash in the junk bond market continues to rise paving the way for a wave of defaults that could domino through the industry. This is a fairly typical scenario whenever the Fed lowers rates. Investors search frantically for higher yield oftentimes dumping their money into overpriced bonds that provide funding for risky operations that eventually go belly up. The fracking boom is just another example of how cheap money and falling prices can lead to disaster. Naturally, if you drop the price of money to zero and keep it there for seven years, bad things are going to happen. Speculation is going to increase, investors are going to take on more risks, and the price of stocks and bonds are going to soar. But what doesn’t happen is that ordinary working people who are still trying to reduce their debtload after the last big bust, don’t start borrowing more money and spending like madmen. That hasn’t happened and that won’t happen. The only recovery has been in the stock portfolios of the bank moguls and other filthy-rich investors. Everyone else is still just treading water. This is exactly what happened in 2008 when Lehman got into trouble and threatened to take down the entire US banking system along with it. Now–according to the Office of Financial Research–we’re in the same pickle due to the Fed’s zero rates which have “distinctly distorted” asset prices creating the prospect of another meltdown. (Fisher) “told the American Economic Association on Sunday that the Fed is not as well-equipped with regulatory powers to rein in housing and other asset bubbles as some other central banks. And he questioned whether Congress had gone too far in limiting the Fed’s ability to intervene if a crisis erupted and threatened the financial system. “We won’t know until it’s very late” whether the Fed has been constrained too much, Fischer said at the AEA’s annual meeting in San Francisco. That’s something “we have to worry about a great deal.”…. Why would Fisher ask for additional powers if he didn’t see clouds gathering on the horizon? (b) No one knows if it will work because it’s never been tried before. That’s not exactly a ringing endorsement of the Fed’s new policy, now is it? Of course, no one’s going to admit that none of this would have been necessary if the Fed had nationalized the banks and written down their debts when they had the chance in 2008. Oh, no. Instead, they’re going to keep repeating the same nonsense they’ve been saying for the last eight years, that everything is getting better and that prosperity is just around the corner. What a laugh. Meanwhile, the financial system continues to edge closer to its inevitable day of reckoning thanks in large part to the efforts of the Fed.